This sparkling two tone ring set is beautifully crafted with a string of 925 Sterling Silver and Rose Gold-plated beads. One ring features a heart charm. 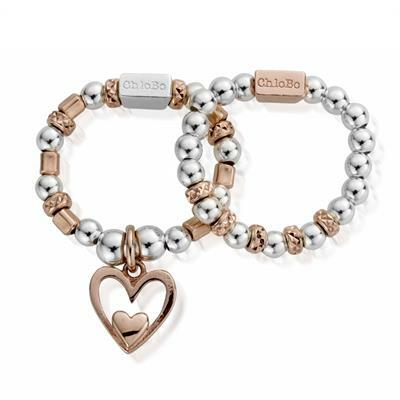 Wear them stacked together to get that iconic ChloBo look. The rings are ChloBo size large.